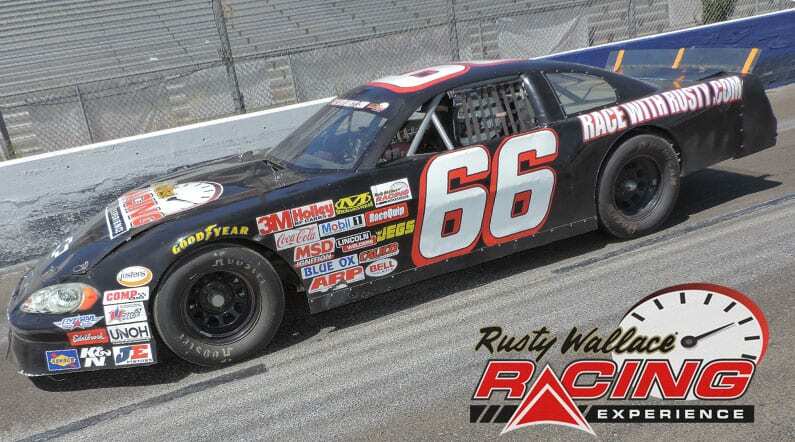 Come join us on track at Kern County Raceway Park because it’s your turn to experience the thrill of the Rusty Wallace Racing Experience!! Choose your Kern County Raceway Park Driving Experience or Ride Along Experience to begin booking. If you’re giving as a gift or are unsure about a date, you can purchase a gift voucher and you or the recipient will have 90 days to return to the website or call 855-227-8789 and book a date. The track features a progressively banked track, similar to its neighbor in the south, Irwindale Speedway, with a progressive banking starting at 12 degrees on the bottom and rising to 14 degrees at the top, with an uphill climb to the backstretch, ten feet higher than the pit straight for spectator visibility. Turns three and four will also be banked 12–14 degrees, and feature a ten-foot descent. A 1/8-mile dragstrip and a 1/4-mile infield oval are slated. The track, completed in March 2013, will have its first NASCAR–sanctioned race on October 26, 2013, with the K&N Pro Series West. The track held a Fan Appreciation Day on May 4, 2013 and announced the first race to be held at Kern County Raceway Park would be a 100-lap Whelen All-American Series race on the main track. Bandoleros also competed that day on the 1⁄4 mile (0.40 km) track within the main course. Mini dwarf cars also ran on May 18, competing on the 1⁄8 mile (0.20 km) track. We send out email promotions for individual tracks as well as nationwide. If you would to be included for future promotions, please enter your email below. 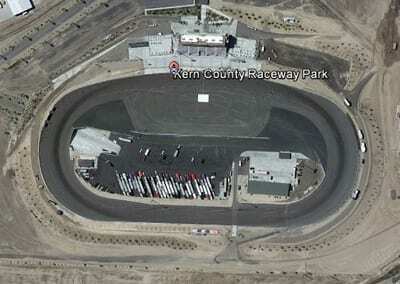 You will receive any email promotions for Kern County Raceway Park as well as Nationwide promotions. You can opt out at anytime. If you would like to receive specific promotions for any other track, please visit that track’s page and submit your email for that track.